Last Saturday marked the end of the season for Spring soccer. The last game was the best of the season, in my opinion. The teams were very evenly matched. 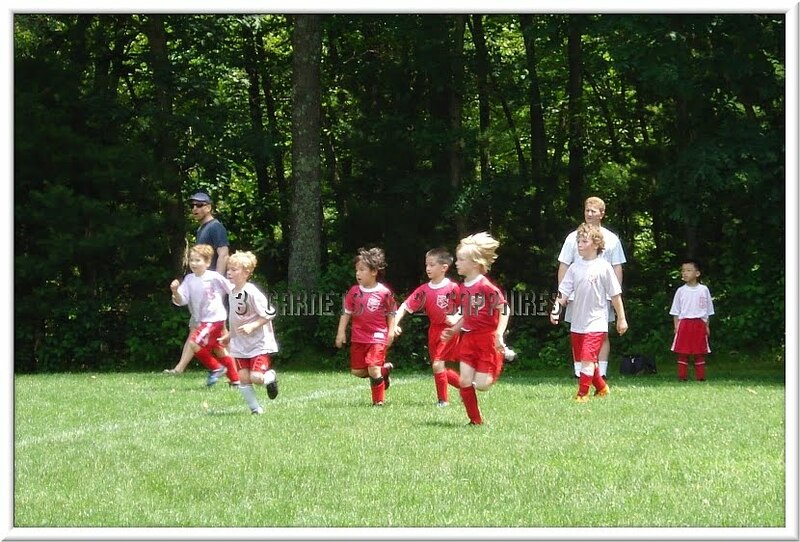 Our son's team ended up tying the game 2 seconds before the final whistle blew. After the game we took a group photo and went off to a celebration, which included lunch and ice cream sundaes. The coaches also presented each team member with a trophy. 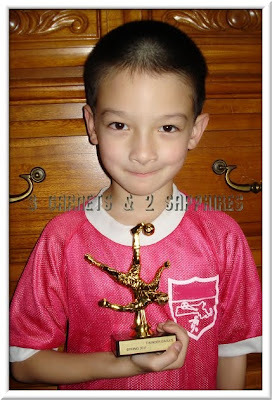 This was our son's first trophy, aside from any medals won in taekwondo, and he was both extremely excited and proud. He decided his desk at home would be the best place to display it. 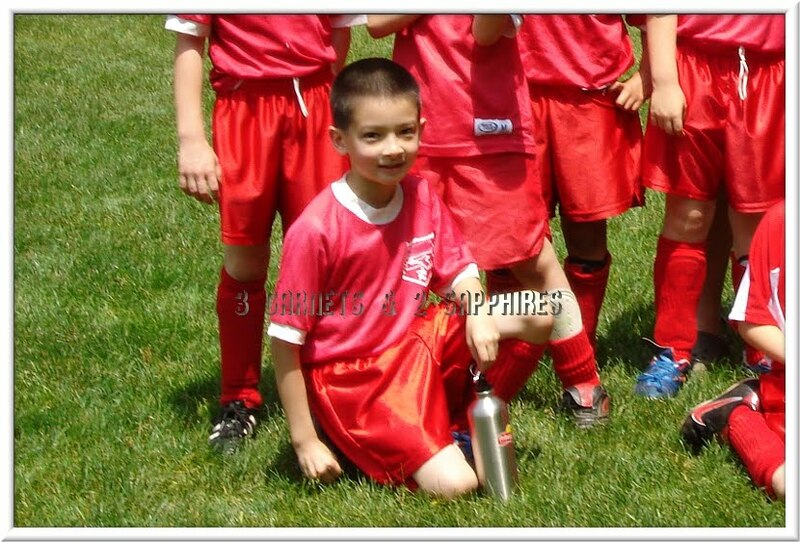 He is definitely going to sign up to play soccer again in the fall.